Mini portable USB 2.0 design. 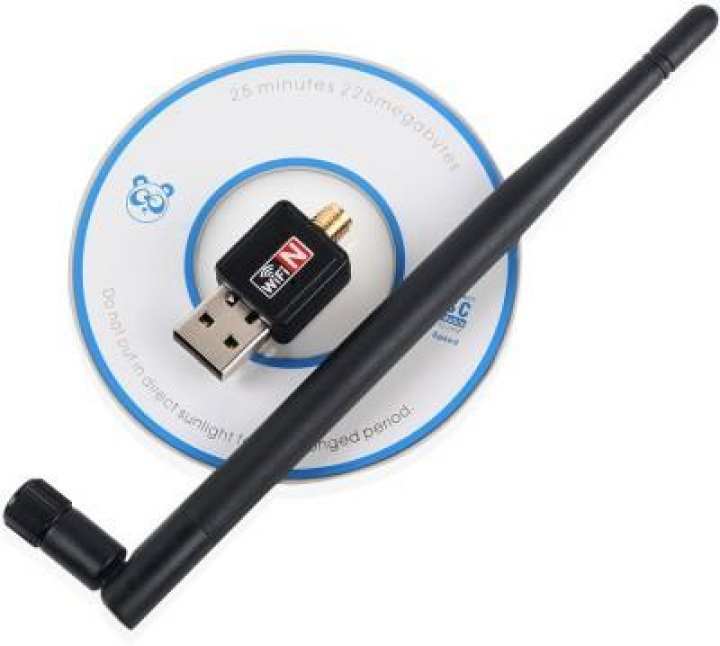 This 300Mbps portable mini wireless USB adapter allows you to connect PC to a wireless network and access high-speed Internet connection. It's ideal for internet surfing and on-line gaming. Wireless N speed up to 300Mbps, ideal for internet surfing and on-line gaming. Complies with IEEE 802.11n (Draft 2.0), IEEE 802.11g, IEEE 802.11b standards. Provides two work modes: Infrastructure and Ad-Hoc. MIMO technology makes wireless transmission rates up to 300Mbps. CCA technology enhances your signal stablility by automatically avoiding channel conflicts. Quick secure setup, complies with WPS for worry free wireless security. Wireless security encryption easily at a push Of QSS button. Supports 64/128-bit WEP, as well as WPA/WPA2 and WPA-PSK/WPA2-PSK encryptions. Supports WIN2K, XP, VISTA, WIN7,LINUX operating system. Supports wireless roaming technology for high-efficient wireless connections. Seamlessly compatible with 802.11b/g/n devices. Ak jaygay 300mbps abr onno jaygay 150mbps lekha kn? Ata ki stock a asay?